In less than a month, a whole lot of Olympic hardware will be riding into town for the Burton U.S. Open Snowboarding Championships March 5-10 in Vail. 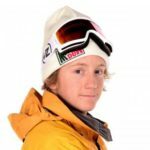 Pyeongchang Olympic slopestyle gold medalists Redmond Gerard from just over Vail Pass in Silverthorne and Jamie Anderson from South Lake Tahoe are scheduled to compete on Vail’s slopestyle course at Golden Peak. And newly minted halfpipe gold medalist Chloe Kim of Long Beach, Calif., will try to claim her fourth straight U.S. Open title at the age of 17 (just like Gerard, who will be hunting his first U.S. Open win). Kim will be joined by Pyeongchang halfpipe bronze medalist Arielle Gold of Steamboat Springs in the women’s halfpipe. Both of the halfpipe riders just claimed their Olympic medals Tuesday (Monday night in Colorado) in the Phoenix Park pipe, and both are on the schedule for the 2018 U.S. Open in Vail. The men’s halfpipe final on Wednesday in Korea (Tuesday night in Colorado) could send a couple more medalists to the U.S. Open in Vail, as two-time Olympic gold medalist Shaun White — the defending champion in halfpipe at the U.S. Open — easily made it through with the top score of 98.50 in qualifying on Tuesday at Phoenix Park. 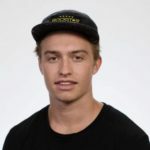 Also scheduled to be in Vail next month is Eagle’s Jake Pates, who at age 19 turned in a sizzling second-run score of 82.25 in qualifying at Pyeongchang to secure a spot in Wednesday’s final (Tuesday prime time in the U.S.). On the women’s side, Kim showed on Tuesday she will be the rider to beat in women’s halfpipe for many years to come. Gold, on the other hand, needed to nail her third and final run in the finals to hold onto the bronze. Gold bumped legendary rider and 2002 Salt Lake City gold medalist Kelly Clark off the podium in what will likely be the last Olympics for the 31-year-old. Clark, who’s scheduled to rider in Vail next month, was philosophical about her final run.